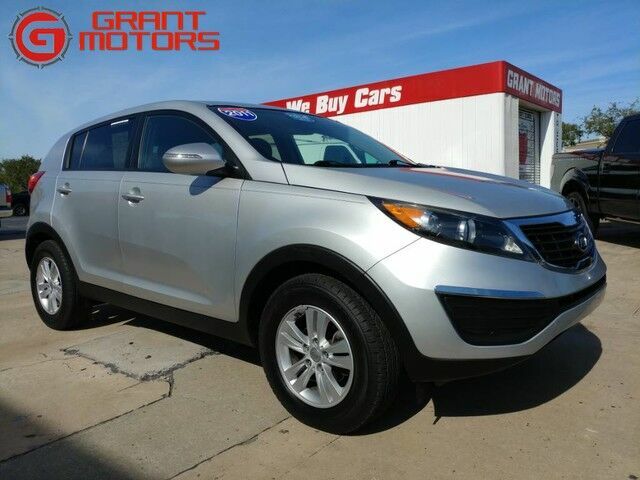 This 2011 Kia Sportage Base is proudly offered by Grant Motors CARFAX BuyBack Guarantee is reassurance that any major issues with this vehicle will show on CARFAX report. Off-road or on the street, this Kia Sportage Base handles with ease. If you are looking for a vehicle with great styling, options and incredible fuel economy, look no further than this quality automobile. The incredibly low mileage and painstaking upkeep on this Kia Sportage makes it a once-in-a-lifetime deal that won't last long! Call us today to reserve your test drive! The newly redesigned Sportage jumps to the forefront among compact SUVs, thanks to its stylish design, generous feature set, connectivity and entertainment systems and strong value for the money. At about 175 inches long and just 73 inches wide, the new Sportage is of a size that's large enough for a growing family of four, yet it still fits into a compact-car parking space. The Sportage's all-wheel drive system combines the best of both worlds with a real locking center differential as well as car-like on-road all-wheel drive finesse. Furthermore, Kia's warranty on powertrain components brings a peace of mind that's not matched by many other brands.